Mothers-to-be in the Flin Flon, Man., area may have to deliver their babies elsewhere, after the service is suspended in the northern Manitoba community later this month. 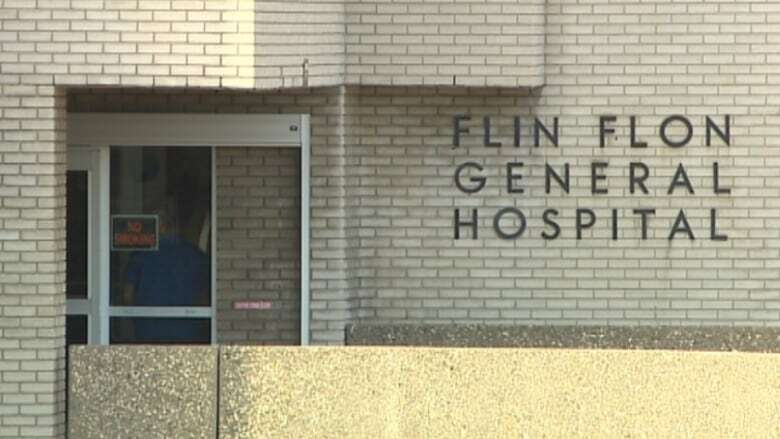 Flin Flon General Hospital will instead direct expectant mothers to the hospital in The Pas, over 110 kilometres away, after an external review of obstetrics at the health centre recommended the shutdown. The hospital lost its full-time obstetrician last year and has struggled to fill the position, said Helga Bryant, chief executive officer of the Northern Health Region. "It is that unsustainability, unpredictability and the gaps in service that led to us really looking at the patient safety concerns," Bryant told CBC Radio's North Country. "Those were just too great and really require that we make this decision, difficult as it was." The regional health authority reviewed Flin Flon's obstetrics program once concerns were flagged by its chief medical officer. An obstetrician from Winnipeg was enlisted, who recommended the closure because the service is unreliable. Since the former full-time obstetrician left, coverage has only been offered half the time. The health authority has searched nationwide for a replacement, but has come up empty. "The number of deliveries would make it not attractive for someone to be there full-time — obstetricians would worry about losing their confidence," Bryant said. "We have been supplementing over the past year with locums [fill-ins] and even locums have been difficult to recruit." In the past year, 150 babies were delivered at Flin Flon's obstetrics centre, which has been equipped to support low-risk births. Mothers are encouraged to contact their care provider to make alternate arrangements for delivery, in preparation for the suspension beginning on Nov. 18. There is no timeline for reinstatement. The issue raised the ire of area MLA Tom Lindsey at the Manitoba Legislature on Wednesday, who blamed the suspension on funding cuts. The NDP member called on the government to reopen the program. Health minister Cameron Friesen said he wouldn't overrule an expert opinion. "I will not step in front of medical professionals and somehow advocate for the reinstatement of a service that they're advising me, at this time, for reasons of safety, be discontinued," Friesen said, adding his government is committed to bolstering obstetrician service going forward. The service's future will depend on an ongoing provincial review of health care in the region, which will be complete next year, Bryant said. She refused to speculate whether the service may be discontinued. "I think we have to wait for that plan. I'm not going to presuppose what that plan will contain," she said.